All food retail establishments must be licensed in order to operate. Each license application is assessed on its own merits. 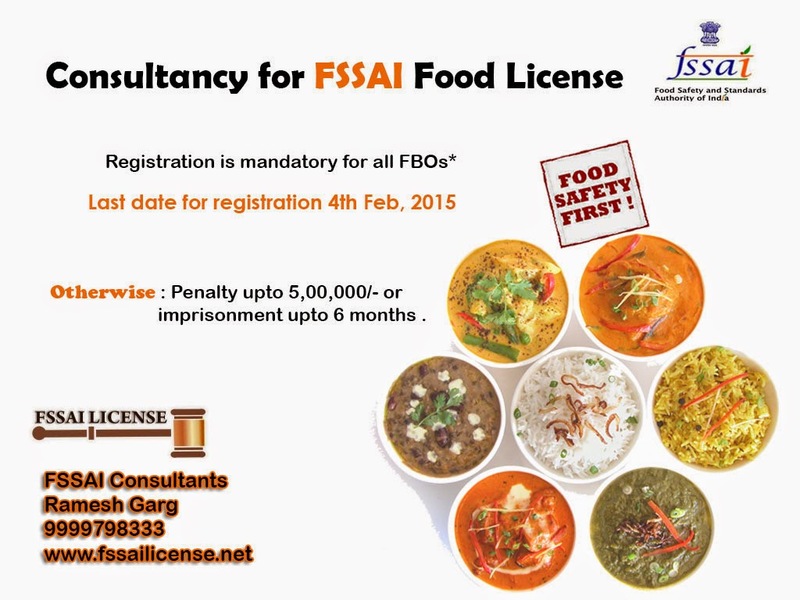 In general, FSSAI will issue a food license when relevant approvals and supporting documents are properly submitted. Last date for filing is 4th Feb 2015. Delay may attract huge penalties.